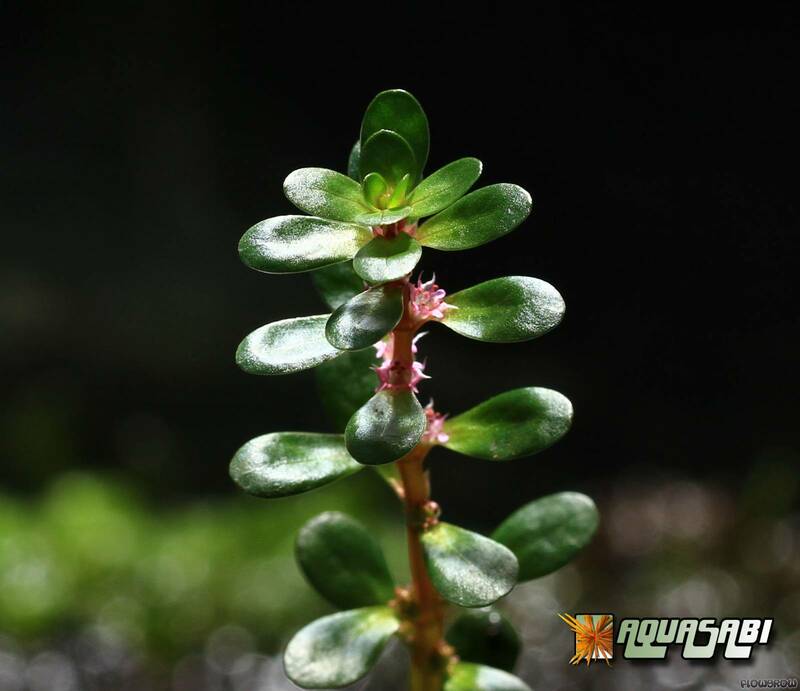 There is quite a bit of confusion around the name Rotala indica in aquaristics. 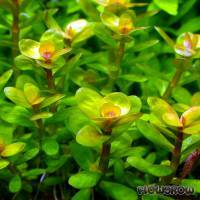 The reason for this is, that in 1960, Rotala rotundifolia was imported under the erroneous name "Rotala indica". 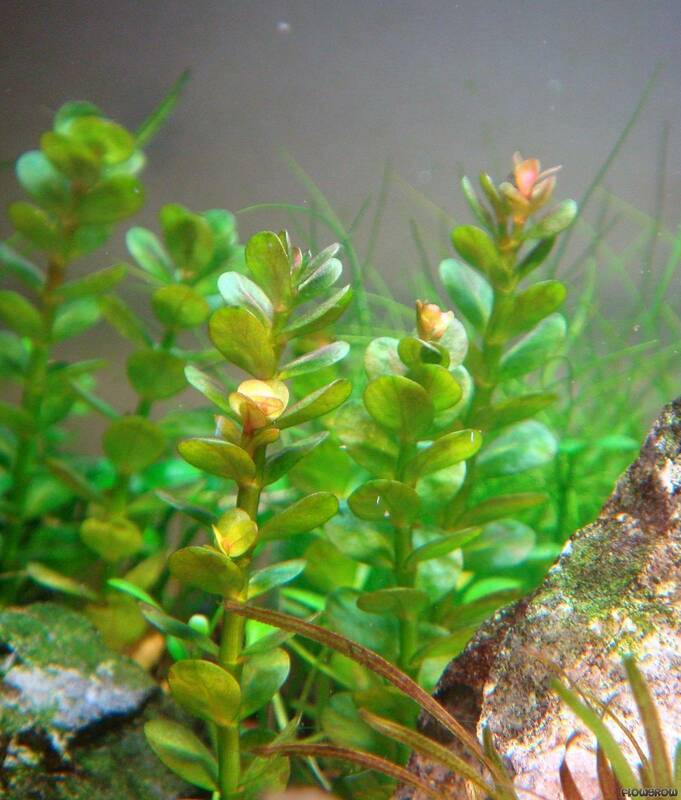 Even today, especially reddish forms of the very variable R. rotundifolia are sold as "Rotala indica" in trade. 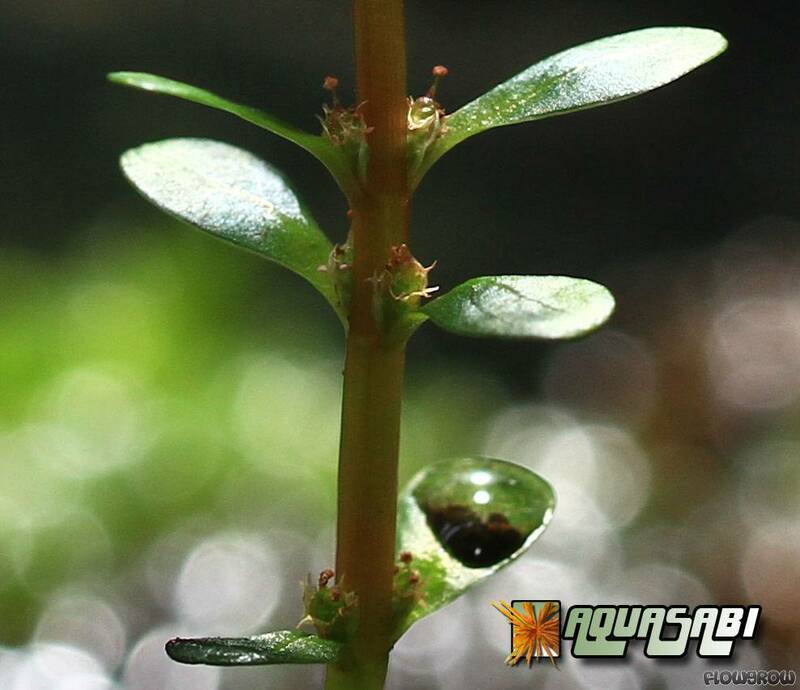 True R. indica, however, is a competely different species that does not play a very important role as aquarium plant. 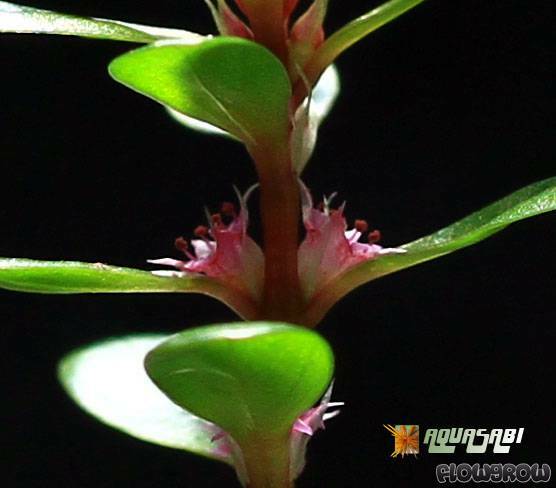 Only recently, the plant sold as "Ammannia sp. 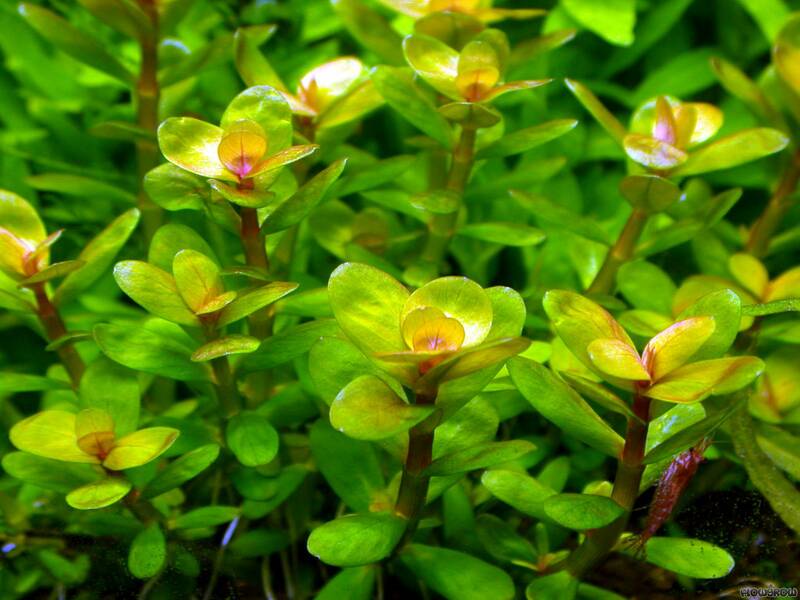 'Bonsai' " has been identified as true Rotala indica. It was also confused with Lindernia sp. "India". 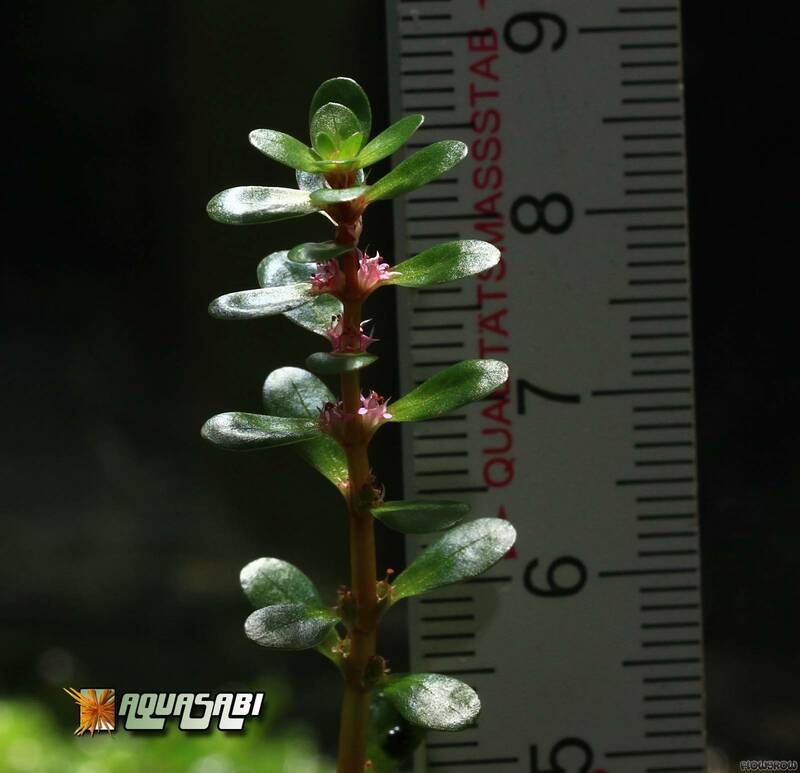 Rotala indica is widely spread in the warmer regions of Asia and is very often found as annual weed in rice paddies. It has been introduced into other regions of the earth where rice is cultivated, e.g. in Northern Italy. 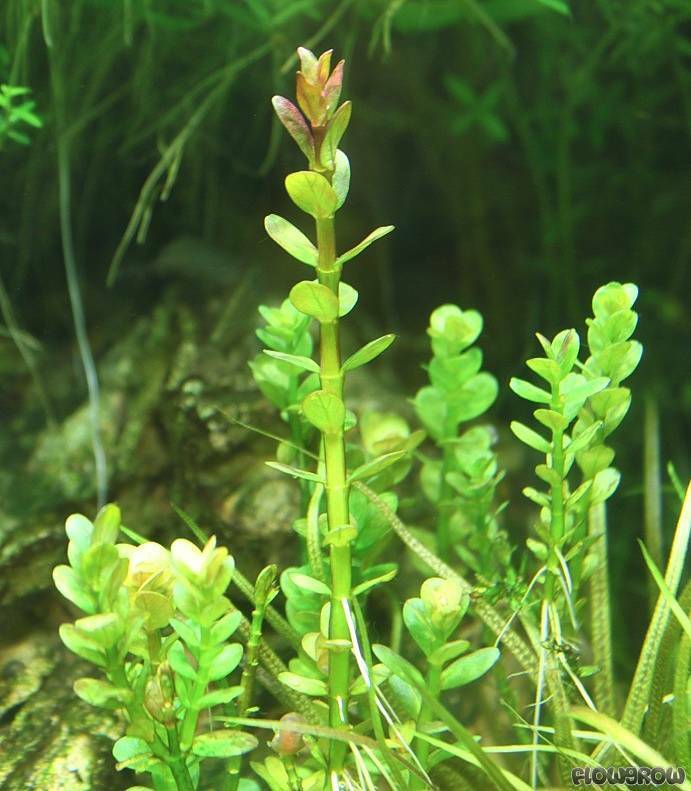 The emersed as well as the submersed forms of R. indica differ distinctly from R. rotundifolia. 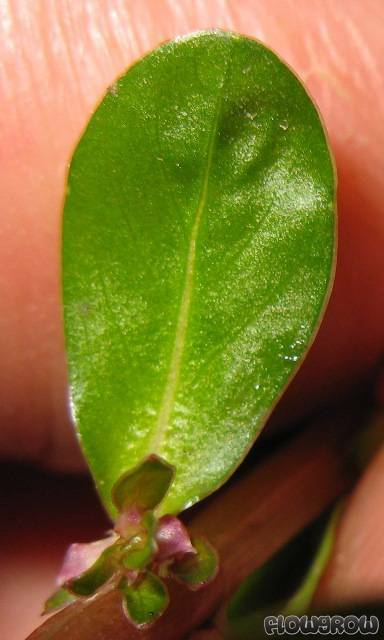 The leaves of R. indica are 0.5-1.7 cm long. Their emersed and submersed forms do not differ much, they are obovate to spatulate and have an obtuse tip. 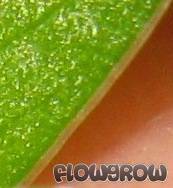 Typical for R. indica, and another difference to R. rotundifolia, is the “cartilaginous” leaf margin: with a strong magnifying lens or under a microscope it can be seen that the leaf margin is thicker and whiteish transparent (without chlorophyll). 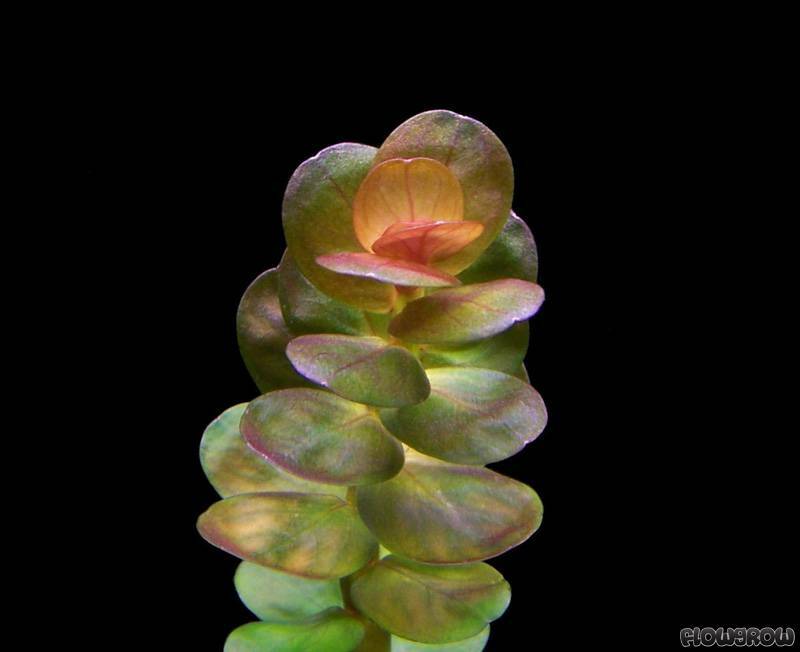 The submersed form of R. indica has a strictly upright growth habit, dense foliage, a relatively thick stem and not very ramified. Under sufficient light, the shoot tip is reddish. The stems of the emersed form lie low on the ground. 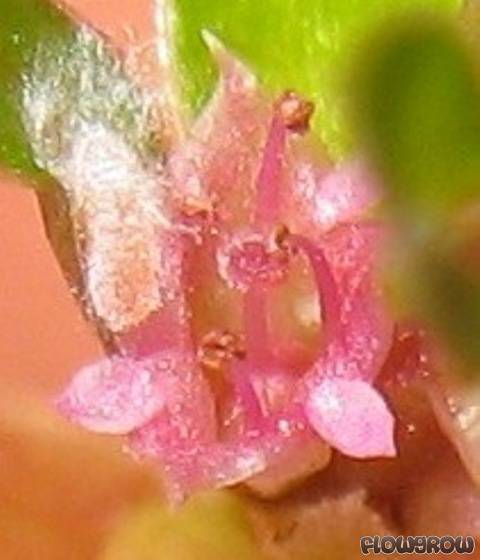 The tiny reddish flowers appear on short lateral shoots or in the leaf axils along the stem and have very small, inconspicuous petals. In contrast to these, the flowers of R. rotundifolia are quite distinct in upright spikes on the shoot tip. 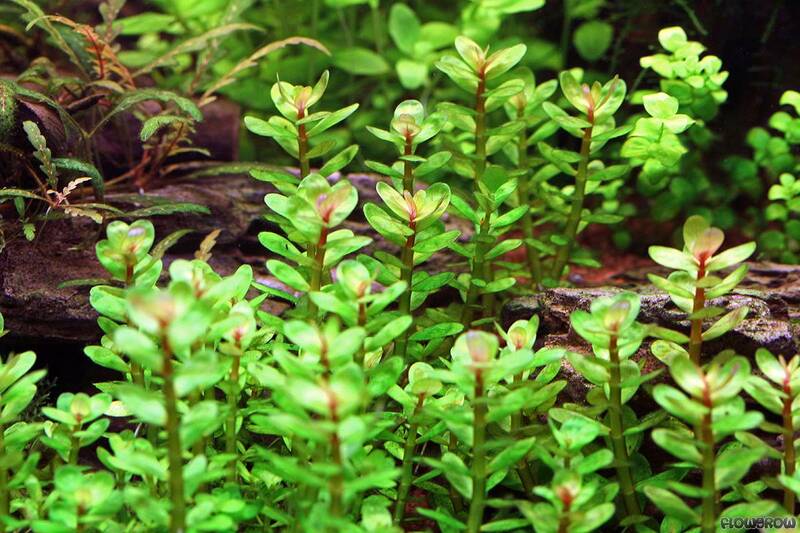 Rotala indica is a rather slow grower, and in the aquarium it has relatively high demands regarding light intensity and nutrient supply. 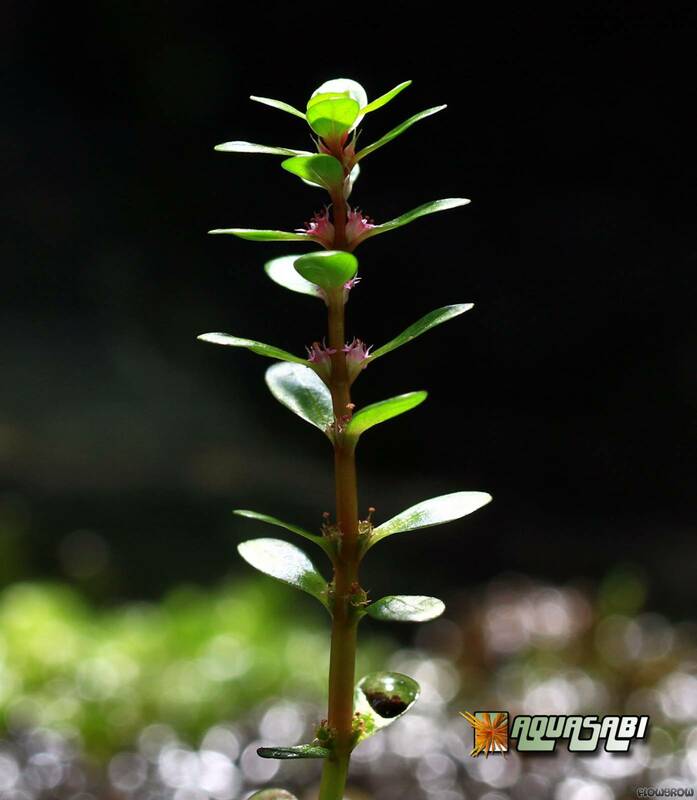 Its almost pillar-like upright shoots are best planted as larger, individual group of stems of different length in the middleground of a tank. 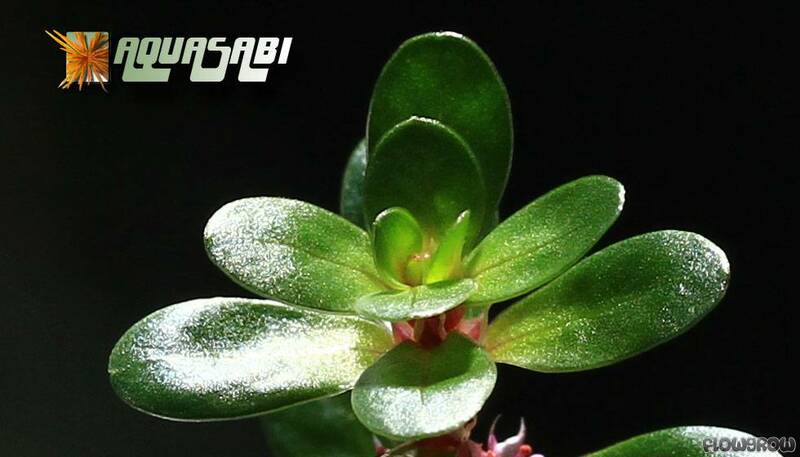 There are no further design information for this plant yet.